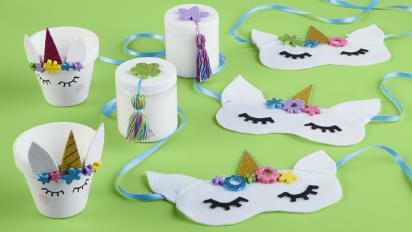 Choose from 10 fun craft themes for kids ages 4 and up. Invitations, thank-you notes & craft supplies. Drawstring bag for the guest of honor. Use of our classroom plus a Team Member to help. Get everything for a themed party. Just bring your own craft supplies. Add face painting for just $25! Feel free to bring snacks, drinks and tableware. 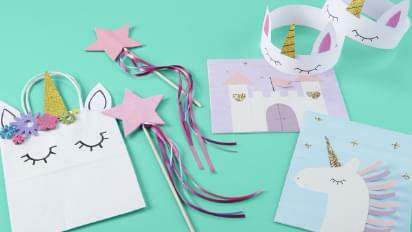 Enter a world of princesses, princes and magical unicorns, where royal guests will make a unicorn headband, a colorful canvas, a magic wand and an adorable treat bag. Ahoy, matey! 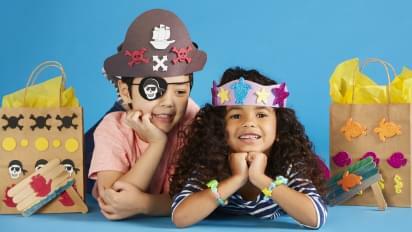 Little pirates, mermaids and mermen will craft a flag, a pirate hat or mer-crown, an eye patch or bracelet, and a bag for all their treasures! 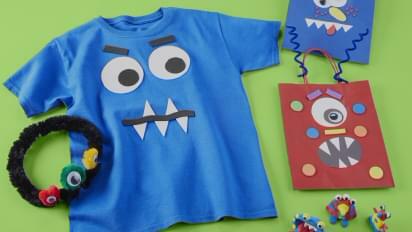 The kiddos will get a kick out of making googly-eyed headbands, monster face T-shirts, and bags for their goodies. They’ll also sculpt their own little monsters out of Crayola® Model Magic®. Who wants to build a robot?! Young makers will have a blast making one! 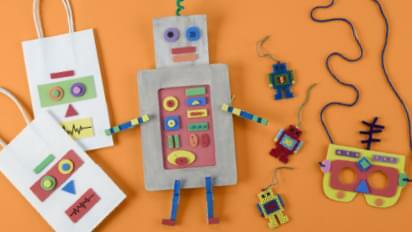 They’ll also make robot masks for playing pretend, create little robots out of Perler Beads® and decorate treat bags. Young guests will love making treasures from adventures under the sea! The kids will make a crown and seashell necklace to feel just like a mermaid (or merman!). 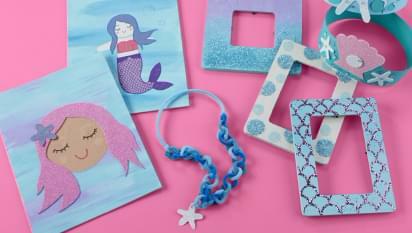 They’ll also make a photo frame to hold their favorite memories and decorate a sweet mermaid canvas. Creative kids will love decorating clay pots with darling unicorn faces, making a jar of unicorn slime and creating a unicorn mask to wear home. It’s gonna be a gooey good time! 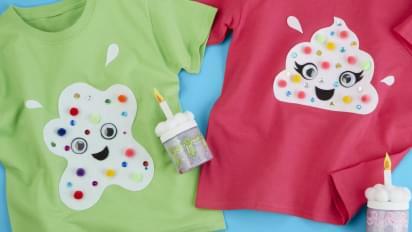 Guests will make slime and a delightful birthday cake jar to keep it in, and they’ll decorate adorable slime-face T-shirts. Smile! 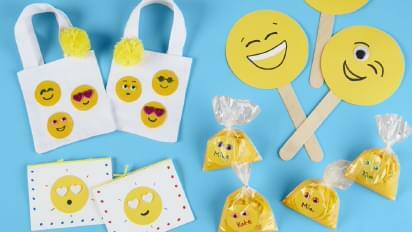 Kids will bring emoji to life by making popsicle stick masks, an emoji book, bright emoji slime and a tote to carry their swag! A llama and a cactus may look like a prickly pair, but they’re actually a whole lotta fun! 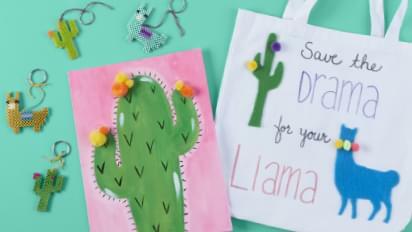 Tweens will make a cactus canvas, create llama and cactus keychains using Perler Beads®, and decorate a fab tote bag. Let out your inner unicorn! 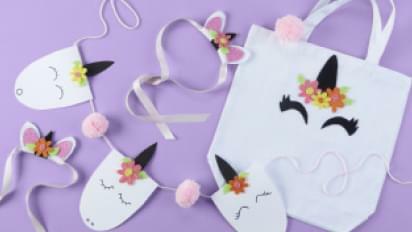 Tweens will have a ball making some totally charming projects, including decorating a tote, making a unicorn headband and creating a magical banner.